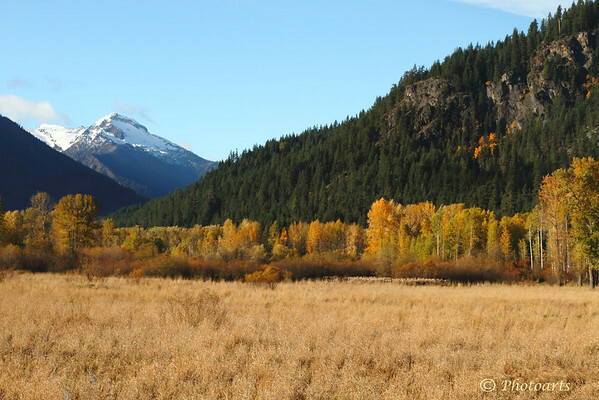 Snow packed peaks in the north Cascade mountains watch over evergreen hillsides and fall color valleys in a short autumn season. Hi Payam, this is BEAUTIFUL. It seems you've captured winter, summer and fall in one shot! Beautiful landscape! Great comp and stunning colors!! Beautiful autumn shot! I love the colors and the layers.